1. Because we are commanded to. This is the most basic reason. The Bible is ripe with commands to sing to the Lord. To do so privately and corporately. God commands us to sing because He knows the power of music to our hearts and our souls, and He also knows the simple truth that what we love, we praise. We praise aloud. 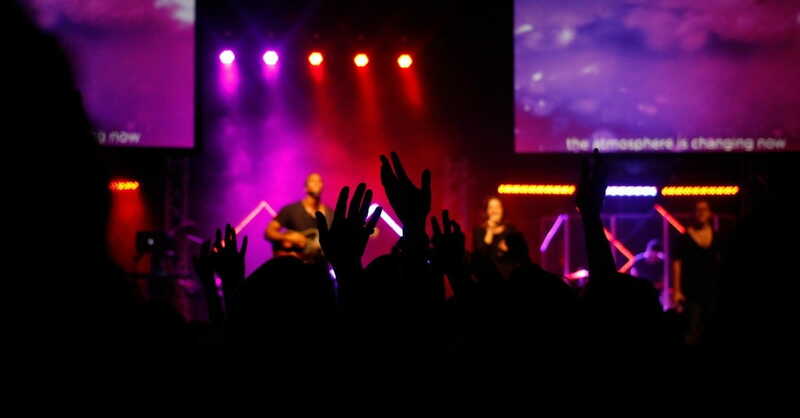 We sing about what we love, and if we love God, then we will sing. 2. Because I am a man. There is something uniquely powerful I think about the voices of men raised together. It’s a powerful sound; a sound of strength and courage, and a sound of resolve. But the most powerful part of the singing of men, I think, is that singing embodies a sense of self-forgetfulness. I went through a stage in life when I thought I was too cool to sing. I’d sit idly by in the youth group and watched others “sing of your love, for-e-ver” because I thought it was beneath me. But now, knowing that my children are sitting by and watching, I’m intensely concerned not only that I sing, but they see me sing. They need to see their dad, who in their minds, is one of their primary sources of security, lose himself in song. Forget about whether he sounds awesome or not. And bust loose. 3. Because you feel like it. When I was in college, I learned about 4 chords on the guitar, which were barely enough for me to get through a modified version of “If Tomorrow Never Comes” by Garth Brooks. I sang that song (badly) for my girlfriend (now wife) one night before Christmas. I did it not because I was proud of my musical ability, but because I wanted to sing it. To her. Think about it and you’ll see it’s true – when love for someone or something rises up in your heart, it comes out of your mouth. It’s natural, so why fight it? Sing. Sing because the Lord has been good to you. Reflect on who He is and what He’s done, and then allow that reflection to birth a song of joy. Not because you have to, but because you actually want to. 4. Because you don’t feel like it. Music is powerful. It’s one of the greatest teaching tools we have. If you’re like me, you can rip off about 7 song lyrics for every 1 Bible verse I’ve memorized. Music is the key, because music helps us learn. But it goes deeper than that. Music helps us feel. It moves us deeply – heart and soul. so if you find yourself this weekend not feeling like singing, it might be that what you need most is to do that thing you don’t feel like doing. Sing. Sing as a way of reminding your soul of who the Lord is and what He’s done. Sing this weekend. Sing because you’re commanded to. Sing as a testimony to your family and others. Sing because you feel like it. And sing because you don’t.